NHS England’s National Clinical Director for Cardiovascular Disease Prevention and the Chief Executive of the British Heart Foundation share their thoughts on the new GP Contract and the positive impact that the changes could have on the outcomes and quality of life for people across the country. Last month the NHS Long Term Plan announced the NHS ambition to prevent 150,000 heart attacks, strokes and cases of dementia in England over the next ten years. The new GP contract, published last week, is the first step in the implementation of the NHS Long Term Plan and shows how primary care will be transformed to help meet this ambition. The high-risk conditions for cardiovascular disease (CVD) – high blood pressure, high cholesterol and atrial fibrillation – are common but often hidden as they usually have no symptoms to warn people of their risk. As a result, they are often undiagnosed or under treated. For example, although half of all strokes and heart attacks are caused by high blood pressure, four in ten people with the condition are undetected, and of those on treatment, four in ten are not treated to target. Heart and circulatory diseases are devastating for the individuals and their families that we look after in general practice, and this is why the NHS works with the British Heart Foundation to improve prevention and early detection. These conditions are responsible for a quarter of all premature deaths in the UK, and for those who survive, it often leads to a dramatic change in life circumstances, as people find themselves suddenly unable to work and dependent on others to manage their day to day lives. And all this is due to conditions that are largely preventable. Under the GP contract, new funding will allow local practices in England to work together in primary care networks, serving populations of 30-50,000. This will help primary care teams to collaborate; sharing staff and resources to ensure the best care for individual patients. It will also ensure the best outcomes for local populations while reducing growing pressure on GPs. There are three specific announcements in the contract that will benefit people at risk of heart and circulatory diseases. 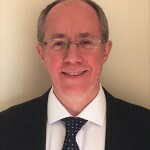 Firstly, new services will be developed across primary care networks, with practice pharmacists, nurses or other senior clinicians using GP records to case find patients whose blood pressure, cholesterol or atrial fibrillation treatment is suboptimal, and then supporting GPs to get the treatment right – and keep it right. Secondly the Quality and Outcomes (QOF) target for blood pressure will be tightened from 150/90 to 140/90 mmHg, bringing it into line with NICE guidance. This is likely to really benefit patients as we know that every 10 mmHg reduction reduces risk of heart attack and stroke by about 20%. Thirdly, NHS England will commission CVDprevent. This is a new national clinical audit programme for primary care that will extract routinely recorded but anonymised GP data. It will show how well we are doing in detecting and managing high blood pressure, high cholesterol and atrial fibrillation, and where the gaps lie. This will help primary care networks, sustainability and transformation partnerships (STPs) and integrated care systems (ICSs) understand what needs to be done to improve outcomes for their patients and populations. NHS England will commission the audit building on initial development work that was funded by the British Heart Foundation. These are technical changes in the GP contract. They are very welcome because they will transform care for individuals and communities and will be key to delivering our ambition to prevent 150,000 heart attacks and strokes and cases of dementia. But primary care is not alone in tackling the high-risk conditions for heart and circulatory disease. From April this year, NHS RightCare teams will provide support to every clinical commissioning group (CCG) as part of the CVD Prevention National Priority Initiative programme. In addition, many STPs and ICSs have already established CVD prevention networks with Public Health England, NICE, academic health science networks (AHSNs), charitable organisations and others: these will help build local clinical leadership and bring intelligence into what works elsewhere to improve detection and treatment. And finally, the British Heart Foundation, in partnership with Public Health England and others will help drive a national programme of community mobilisation, making it easier for individuals to access blood pressure testing in the high street or the workplace, making it normal to ‘know your numbers’. A major BHF initiative is seeking to do just this, by funding £1.5 million in projects that will offer blood pressure checks at a range of places such as pharmacies, train stations and even football grounds. Our partnership and collaboration is key to improving the prevention, identification and treatment of cardiovascular disease, and realising the ambitions set out in the NHS Long Term Plan. The changes to the GP contract are the first step forward in improving the outcomes and quality of life for thousands of people across the country. 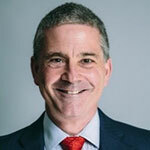 Simon Gillespie joined the British Heart Foundation in 2013, following seven years as Chief Executive of the Multiple Sclerosis (MS) Society.